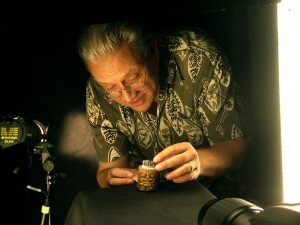 Pacifica archaeologist Sven Kirsten sparks a tiki lighter. An accidental archaeologist with family roots in chilly Hamburg, Los Angeles-based cinematographer Sven Kirsten is the world's foremost expert on tropical tiki style and 'Polynesian pop'. Tiki Pop, his third book exploring pseudo-Pacific and Caribbean lifestyle themes among outré followers of mid-20th century American modernity, is out now from Taschen. Compared with Kirsten's earlier volumes, The Book of Tiki (2003) and Tiki Modern: And the Wild World of Witco (2007), Tiki Pop (subtitled America Conjures Up its Own Polynesian Paradise) is a more detailed and comprehensive survey of key aspects of the phenomenon. 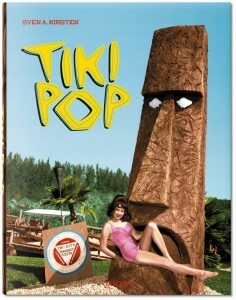 It was produced (in French and English) to accompany a Tiki Pop survey exhibition at the Musée de Quai Branly in Paris. This volume explores precursors of tiki mythology dating back to the 18th century pan-Pacific explorations of England's Captain James Cook and France's Louis-Antoine, Comte de Bougainville. It also surveys 19th and early 20th century storytelling by painters such as Paul Gaugin, authors like Robert Louis Stevenson, Hollywood filmmakers, American Navy sailors, South Seas traders and fifties American music stars of the calibre of Elvis. 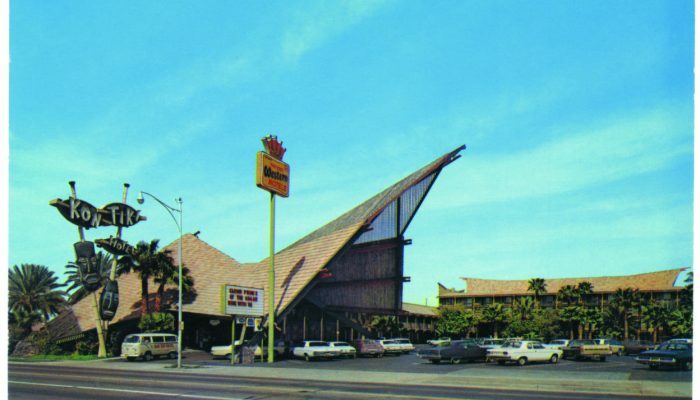 In later sections of the book Kirsten examines American tropical cocktails, temple carvings, logos and rituals – then the phases of tiki expansion, implosion and revival via commercial architecture, homes, gardens and leisure venues such as cocktail bars, bowling alleys and amusement parks. He also devotes several sections to films such as Bali Hai and South Pacific and 'Brando and the Bounty Metaphor'. 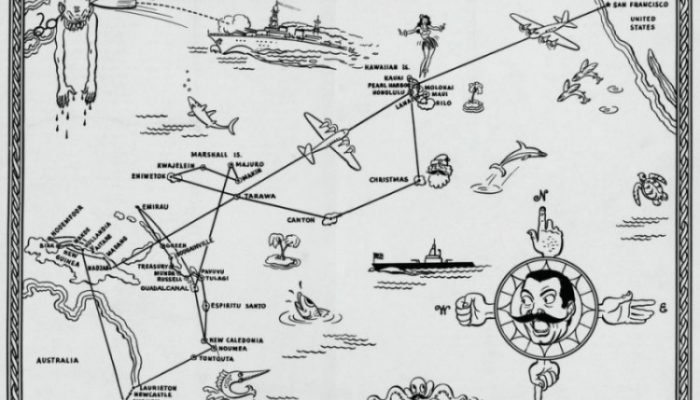 Douglas Snelling constantly demonstrated his empathy with Polynesian pop concepts: from his 1920s arrival in Aotearoa (New Zealand) and water-skiing off California's Catalina Island with Clark Gable in 1937, to his 1970s retirement years in a pseudo-thatched home designed by his friend Vladimir Ossipoff in Hawaii. We have sent a sampler of images and information about Snelling to Sven Kirsten, who admired this 'fascinating eye candy' and indicated interest in including some of Snelling's work in his next publications. 'My tiki eye zoomed in on the AF Little home bar and the Jean Nawa house in Noumea.' said Kirsten. He compared Snelling's architecture with that of Hawaiian 'indigenous modernists' Ossipoff and Pete Wimberly (who Snelling knew in Hon0lulu from the 1960s). 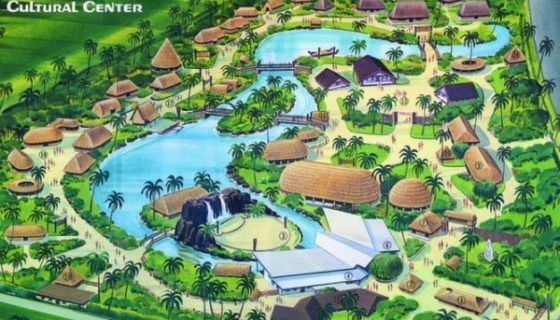 Polynesian Cultural Centre, a Morman escape on Hawaii, built in 1963.